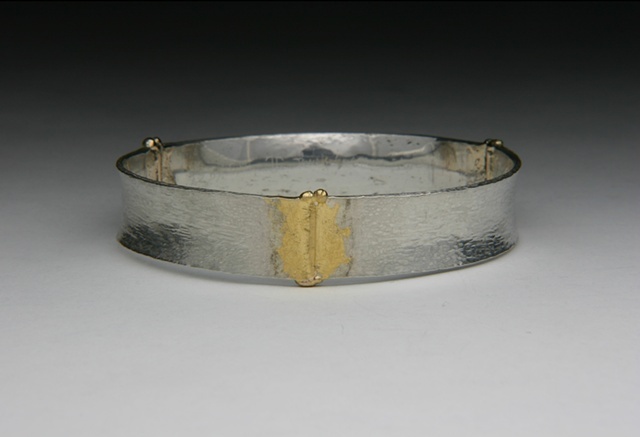 Sterling Silver and 22kt Gold hand forged bangle captures the essence of a great-lost civilizations. I thought about what the women of Pompeii might have adorned themselves with while creating this truly unique bangle. measurements: Size: 2 1/2" opening, 12.75mm width of the silver and 1.5mm thick.